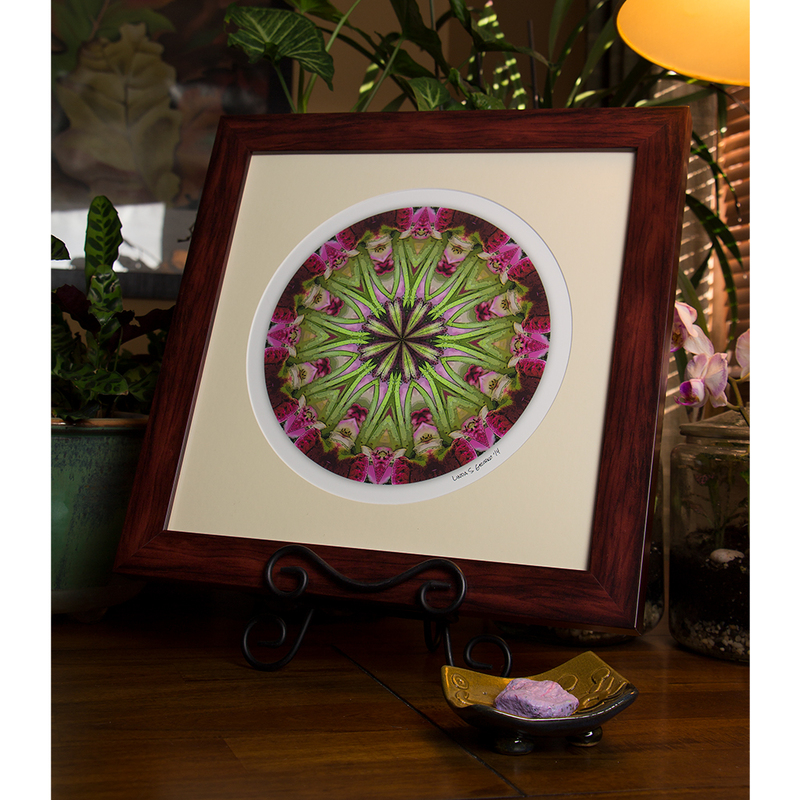 This mandala holiday card is a Milkweed Rising exclusive and is printed from an original work of digital art created by Linda S. Gribko. 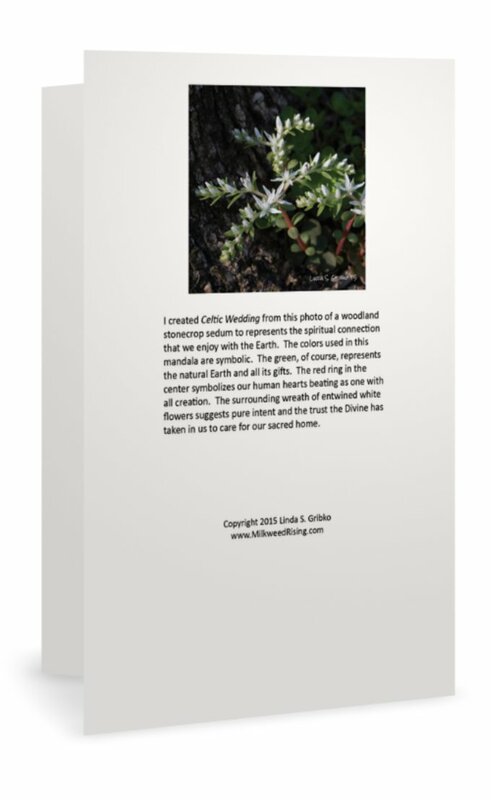 I created my Celtic Wedding mandala from a photo of a woodland stonecrop sedum to represent the spiritual connection that we enjoy with the Earth. 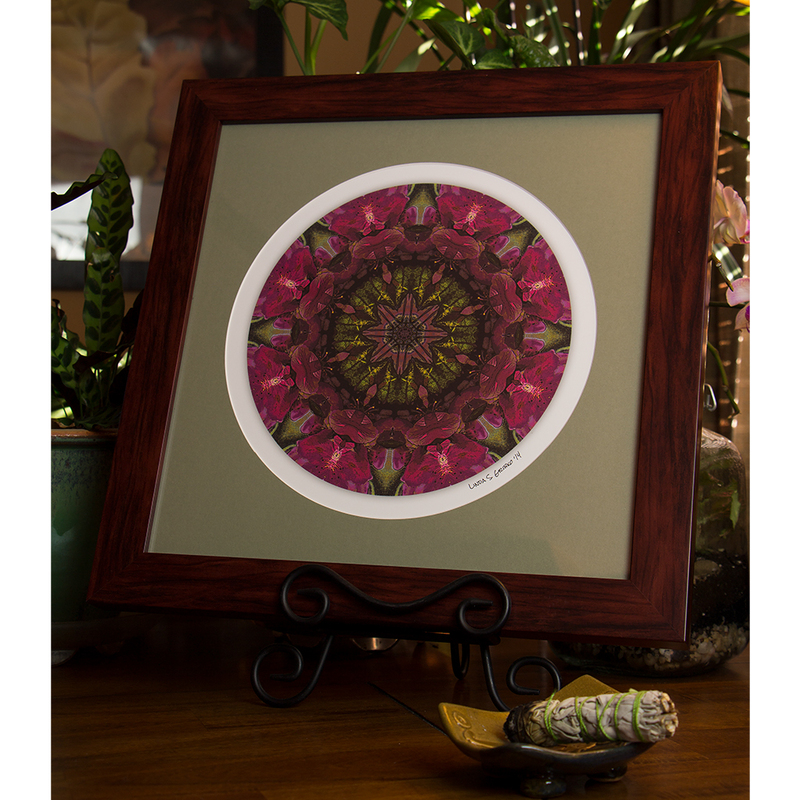 The colors used in this mandala are symbolic. The green, of course, represents the natural Earth and all its gifts. 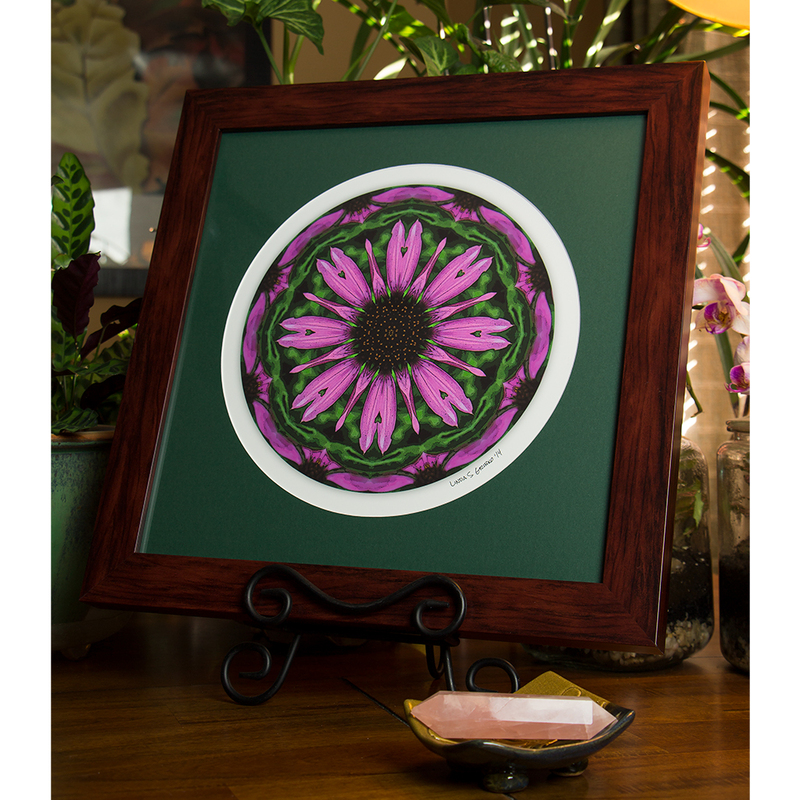 The red ring in the center symbolizes our human hearts beating as one with all creation. 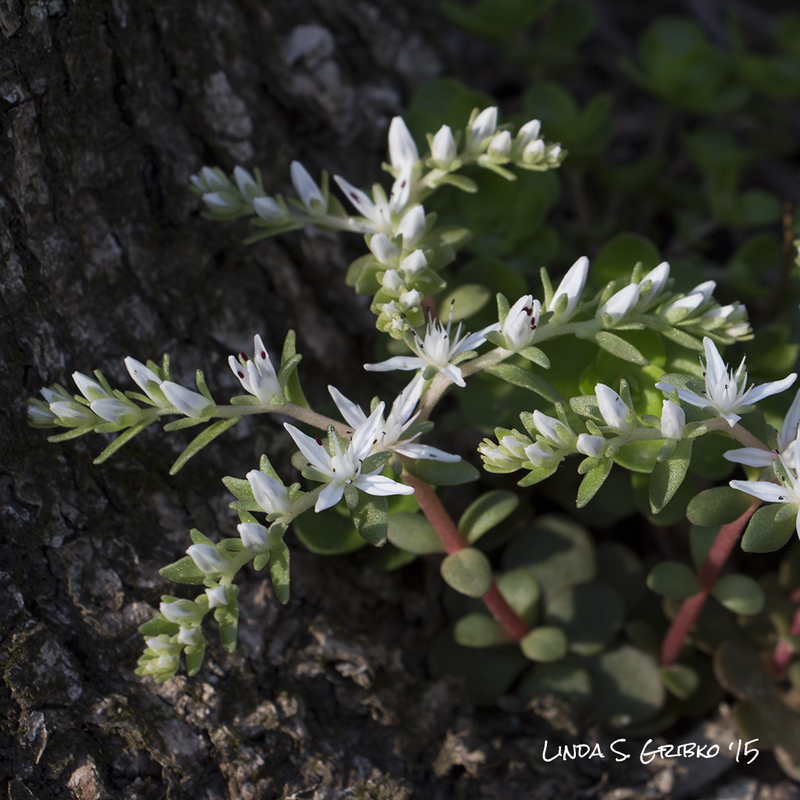 The surrounding wreath of entwined white flowers suggests pure intent and the trust the Divine has taken in us to care for our sacred home. 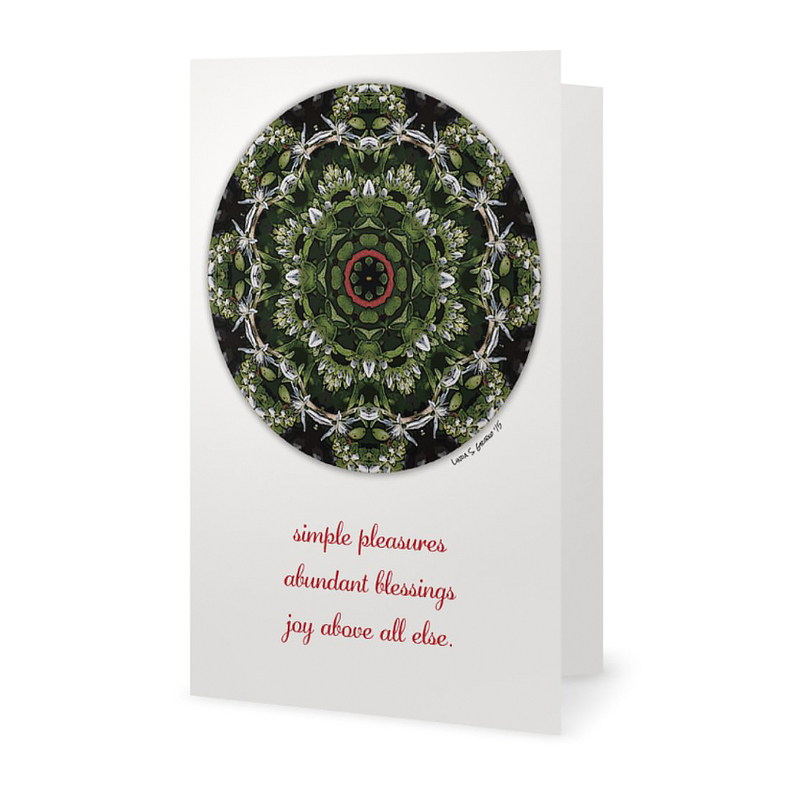 The energy of this mandala made me feel light and joyful and the sentiment both on the front of and inside this holiday card reflects that mood. 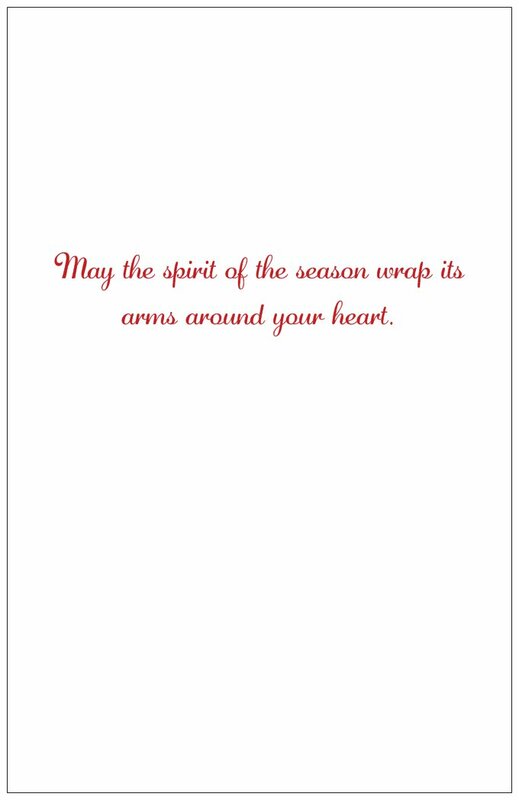 This holiday card is approximately 5″ wide and 7″ tall (portrait orientation) and is printed on premium 100 lb. white matte paper. 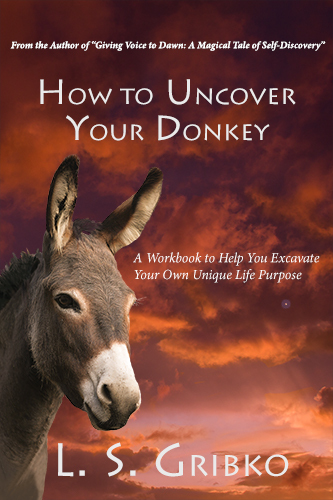 A white envelope is included. The original color photo and the story of the piece are printed on the back of the card.